Australia international Mathew Leckie has been left out of the Hertha Berlin squad to face Zorya Luhansk in UEFA Europa League Group J on Thursday (kick-off 19:00CEST/17:00GMT). Hertha head coach Pal Dardai has opted to leave the 26-year-old forward at home in the German capital to recuperate following a gruelling schedule for club and country. 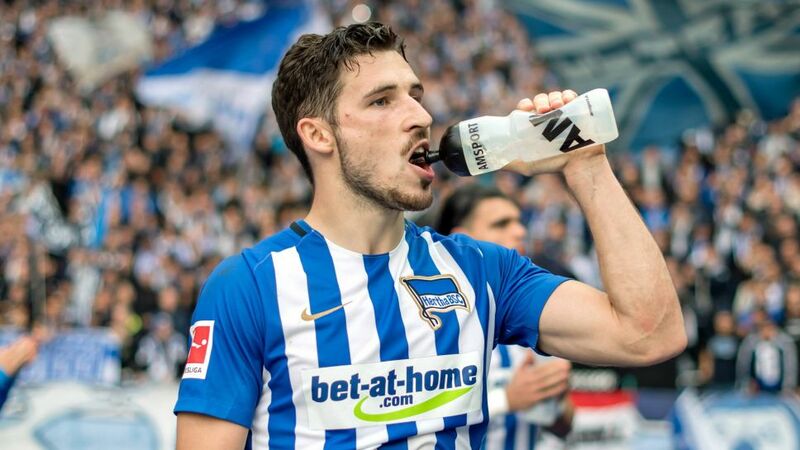 Leckie has appeared in 10 of Hertha's 11 competitive outings so far this season, scoring four goals, and completed the full 210 minutes of Australia's dramatic FIFA World Cup Asian play-off win over Syria - the tie having been settled in second-leg extra time. He is expected to return to the side for Sunday's trip to Freiburg. Hertha Goalkeeper Thomas Kraft, defender Sebastian Langkamp and midfielder Vladimir Darida all miss out through injury in Ukraine, but veteran striker Vedad Ibisevic is available again after shaking off an ankle problem. Hertha are chasing their first win - and goal - in the this season's Europa League after drawing 0-0 with Atheltic Bilbao and losing 1-0 to Östersund. Click here for match build-up and coverage of Zorya vs. Hertha!